(Hello, Archangel Michael. Will you please expand on your message to me of 1.31.12, “The Time To Unite Is Now”)? Yes, dear one. My message through you the other day in which I urged you all to Unite was transmitted with the intent to rally you all to focus on coming together in this very critical time of transformation, of opening, and of movement. My dear friends, you are all so powerful and this can work for you or against you, depending on your thoughts and the intent in your hearts. Take a moment to re-center yourselves and take my earlier message to heart, All of it, dear ones. It is unfortunate that the emphasis on that one statement about the veracity of the trip Saturday being a hoax or not, turned out to be a dividing factor amongst you. I urge you to take my full message to heart, dear ones. As I stated in my earlier message, the choice is yours whether you are united in your collective thoughts to manifest Disclosure and to lift yourselves out of the duality and judgment to which you are still clinging. (Hello Archangel Michael) Hello, dear one, I understand you would like to know, on behalf of many, about the veracity of the channeling last night with Grener and Steve Beckow. (Yes, please give us information about that). Well, as you know, there is much controversy about the subject, about Disclosure, and about the credibility of the radio show, an Hour with an Angel, especially the show last night about the “joy ride”, as it was termed. I am here to tell you that it is not a hoax. There is much need right now for all to come together, and to not be divided. All of you on this earth are in the throes of such a huge shift, and I am here to tell you, dear ones, do not be deceived by naysayers. Look to your hearts, as I always say. The truth is in your hearts, after you extract the beliefs and the fears that have held you under for so long. It is crucial right now that you listen and adhere to the Truth in your hearts. This is a true test of whether Ascension and even Disclosure will happen. And yes, beliefs and adherence to old ways of thinking, and yes, of course, fear can even deter this event that has been promised to you on the radio show last night with Steve and Grener. By this I refer to the power of the Collective Consciousness as well as the individual hearts and minds of the participants for this proposed event. I have always said that Disclosure is truly up to you. You have an opportunity here to go forward and let this be a huge forerunner of Disclosure, or not. Whether it happens this Saturday is also dependent on the mindset of everyone, and their opinions; yes, all this can sway it. So I ask of you, pool all your dreams of Disclosure and Ascension and go within your hearts and manifest the world you have all been waiting to see; no more waiting – No more waiting for Disclosure to happen! It is time to start Disclosure on your own, individually, and as a collective, and it is time to stop the in-fighting amongst all you Lightworkers. If you are not United, there is no hope for the millions who are on the fence or completely in denial of Disclosure and Ascension. The turning point is now – Grasp it, dear ones! Muster your courage and prayers, and continue to adhere to and disseminate the Light and Love you have all been receiving and storing up. Unleash it now, dear ones, and come together and fight for the Earth you so richly deserve, the New Earth you can almost taste. Take this moment to reach out to all your Galactic family and to all your Earth family, Lightworkers or not, agreeing with you, or not. You, each and all of you have a common denominator – your humanity – and more so, your very important piece of the Wholeness, of Oneness. You have all been working on making yourselves Whole, of discarding the fears and beliefs and distractions of the 3rd Dimension, of Duality. Keep on going so you can reach that vastly attainable goal of Oneness. You know the ingredients: Eradicate the judgment, embrace the Acceptance and feel the Love and give it freely, regardless of whether you agree with one another on the finer points of Ascension and Disclosure. What matters is the full commitment to shed the trappings of ego, of judgment, of Duality. You are, all together, one breathing organism and that includes every human being on earth, as well as all your Galactic sisters and brothers, all celestial beings, including all the Ascended Masters, all of the Company of Heaven, and yes, this includes everyone, no matter how much light is now in their hearts and bodies. Now is the time to embrace it, dear ones. The choice is yours. Copyright © 2011-2013 by Fran Zepeda. All Rights Reserved. Permission is given to copy and distribute this material, provided the content is copied in its entirety and unaltered, credit is given to the author/channeler, is distributed freely, and this copyright notice and links are included. 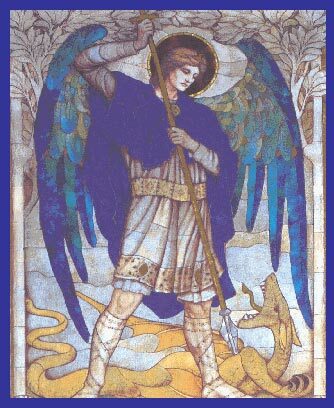 Thank You Archangel Michael..I Love You! My heart is that all those who scoff at this trip, Lightworkers and naysayers would truly realize in their hearts the importance of such a gathering of people from this planet going out and coming back with accounts and proof the people of earth NEED and want. The truth will never be denied again..I’ll see you Saturday…:) Much Peace, Joy, Light and Love to you and ALL! 🙂 ❤ NOW! i am soo grateful that i have the Honor to be on your Site..Thank you. Welcome, Elga! So happy to have you visit!! !